Gayton Thorpe is mentioned in the Doomsday Book as Torp, a quite common name in those days. Sometime later it aquired the prefix Alsewi and became Alsewithorpe. There are many different spellings; Aleswey, Aliswy, Aliswe & Aliswi are all in the old registers. It was not until the early 17th c that the village became Gayton Thorpe. The round Saxon tower dates from around 950 –1000 AD, which was built on to a church dating from around 50 years earlier. You will see some of the large stones of conglomerate in lower layers which are only found in this neighbourhood in Saxon buildings. Notice the double splayed window half way up the tower. This design was to let inlight with the minimum of draught before glass was available. Originally a window high in the nave gave access to the tower by ladder when it was a place of refuge. When this tower was built in 900 AD men could remember the Viking invasions. Perhaps 200 years later the top stage of the tower was restored and those beautiful Norman windows and arches were built. Notice the typical zig zag pattern and some less common interfacing designs. The large columns dividing the two lights are also typical of the Norman period. The Saxon tower with its bold Norman upper stage is often described as being elliptical, although it would be truer to say that it is D-shaped, the eastern face flattened and the nave built against it. The chancel dates to about 1300 AD and is curiously off-centre in the east wall of the nave, but standing looking back you can see that it lines up with the tower. The North wall was rebuilt about 4 feet fro its original position. Surmounting the gable end you will see a fine celtic cross with a ring of glory.The south side of the church has windows of different periods, including a very elegant Tudor window in the chancel. Local materials were used to build the tower, including grey carrstone and natural flints set in plenty of mortar and without coursing.The Saxon work rises to about 38 feet where the first string course occurs. The belfry stage above is Norman, dating from around 1100. The south wall of the nave is probably part of the original Saxon building although bigger and better windows were inserted in the 15th Century: there are signs of a blocked Saxon window above the existing windows. The south and east walls of the chancel may have survived from Saxon times but their present windows with Y tracery date from around 1300. The bell in the belfry is inscribed “John Draper made me 1624”.The original bell, now located in the vestry, is said to be the oldest church bell in Norfolk. As you enter the Church you will step on the grave of Timothy Winkfield, who died in 1795. At the time, the North door was in regular use and the South porch was used for secular meetings. He left instructions that he should be buried within the Church and near to the South door so that his grave might not be trampled on. Very shortly after this the south door became the usual entrance for the Church! The Chancel arch is Early English. Notice the slots in it for the rood or tympanum. 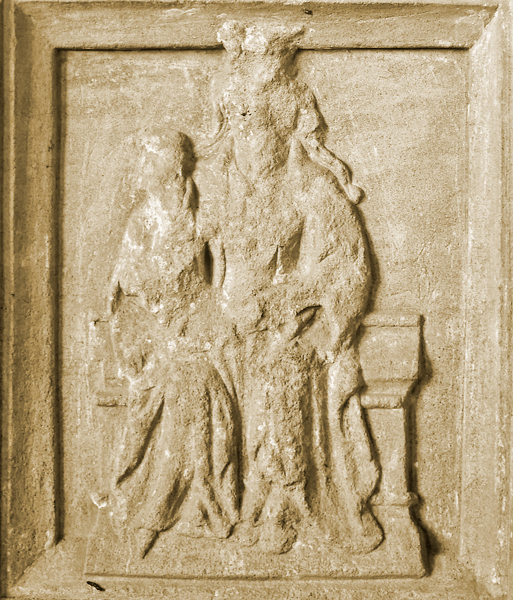 There is a nicely carved stone head of a knight on one side and a lady on the other; these are believed to be Sir John de Thorpe and Alice, his wife, who were patrons in 1310. The original roof was constructed with hammer beams and tie-beams were added when the Church was re-roofed in 1900. Notice the arch braces going up to alternate collar beams and collars which date to the perpendicular period. The present pews were installed in 1900 and the East window was reglazed at the same time. The vestry was also added as part of a major restoration at this time. 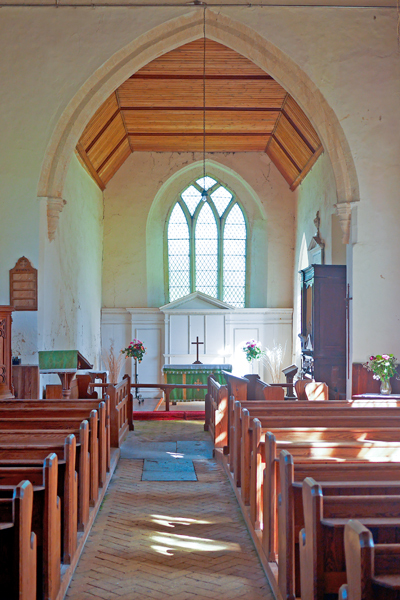 After all these improvments, the Church was re-opened on 18th May 1900, with great rejoicing in Gayton Thorpe. This was also the date for the relif of Mafeking! 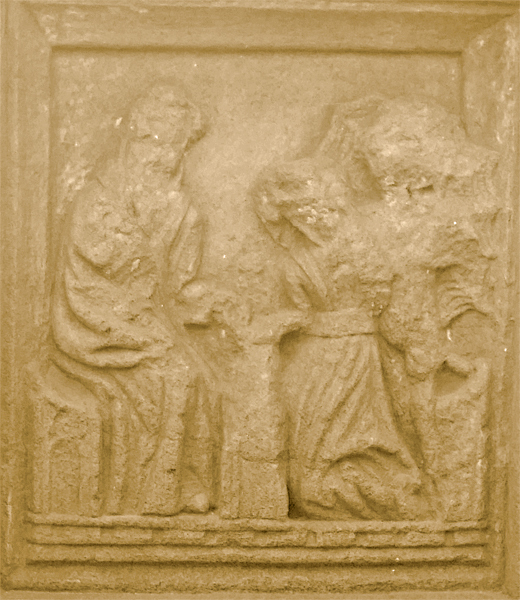 A slab at the East end of the Chancel could be the grave of the former rctor, John Geyney, who died in 1489. Bloomfield writes of a brass here which has long since disappeared. There is a fine plain window seat sedilia ad piscine. 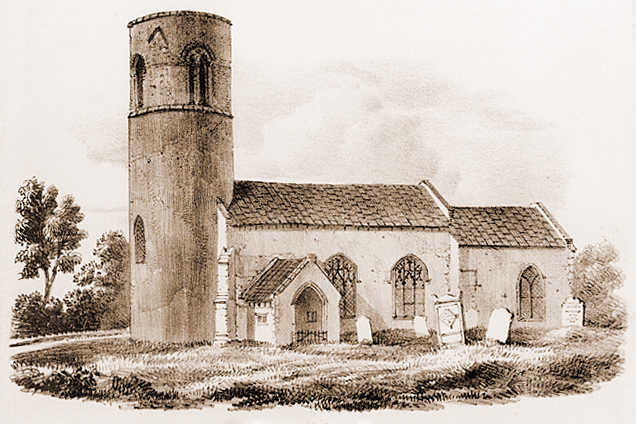 The communion cup and paten were given by Sir William Barkham, Baronet in 1687, whose wife was buried inside this Church. He lived in East Walton Hall and was buried in Southacre Church where his family memorials should be seen. Dr Edward Barkham was Rector here for 52 years from 1662 - 1714. 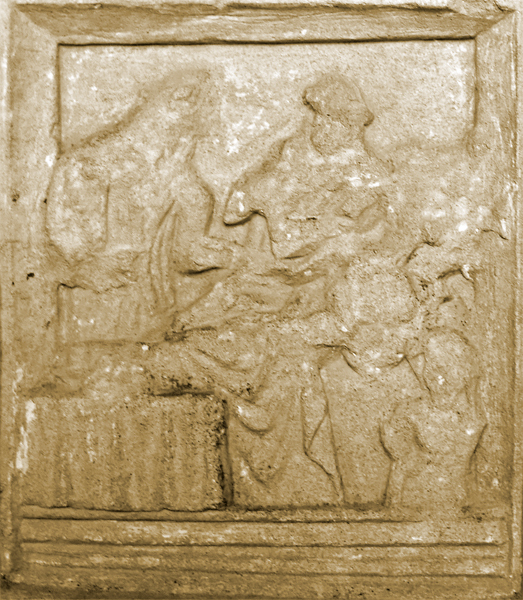 He was buried in the Chancel and a marble slab to his memory can be seen; his wife survived him by only 4 days. After 1737 one Rector served the two parishes of Gayton Thorpe and East Walton. Gayton Thorpe church does have one of the great medieval treasures of Norfolk, one of the forty-odd "Seven Sacrament" font series. 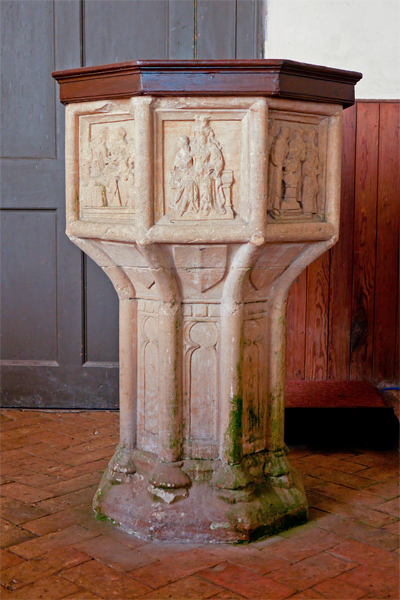 Dating from the 15th Century, though a few might be slightly later, the font is one of only 40, of which 25 are in Norfolk and 13 in Suffolk. In the 17th century, such fonts often suffered defacement during this "Restoration Period" for depicting “Popish” sacraments: here the figures and clothing are still recognisable, though their faces are disfigured. 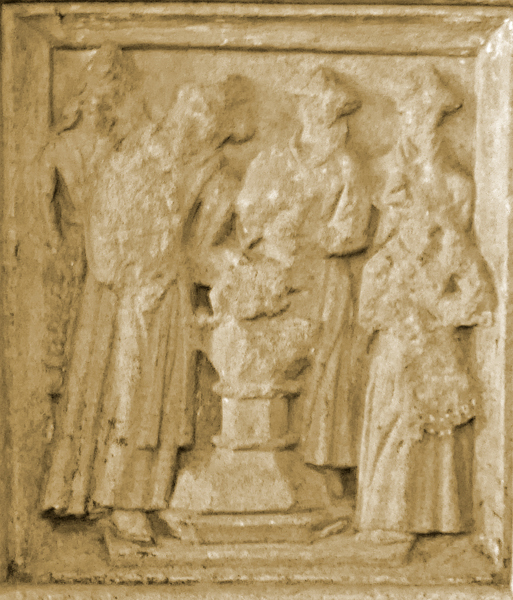 Octagonal in shape and exquisitely carved, consisting of eight panels. 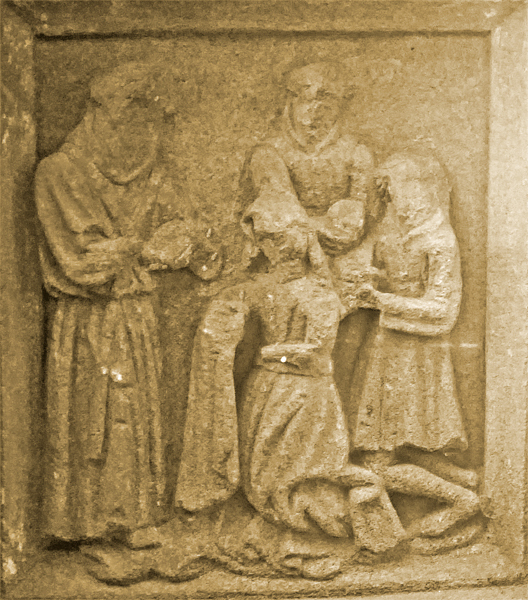 Some have unfortunately been mutilated, those of the Roman Church suffered the worst at the time of the Reformation. Seven of the panels contain representations of the 7 holy ordinances of sacraments, such as baptism, holy communion, confirmation, confession or penance, ordination to holy orders, marriage and extreme unction. 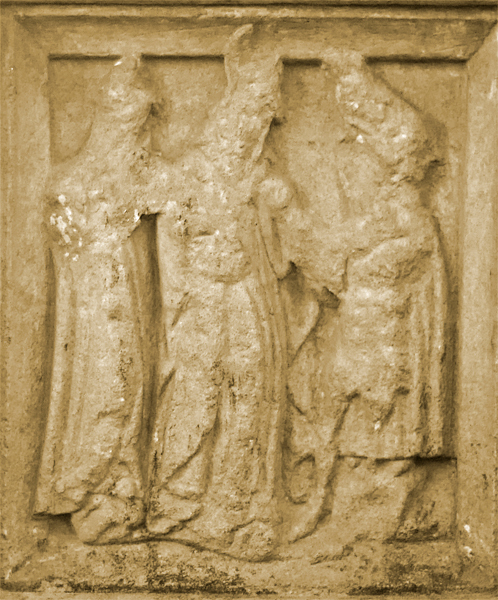 The eighth panel varies in its depiction. Fonts used to be kept locked both for cleanliness and for checking the use of the water for superstitious purposes. Most of these covers disappeared during the sixteenth century probably at the same time that the fonts themselves were mutilated. This is rather simpler than most, with no cusping or tracery, but simple carvings set in plain frames. 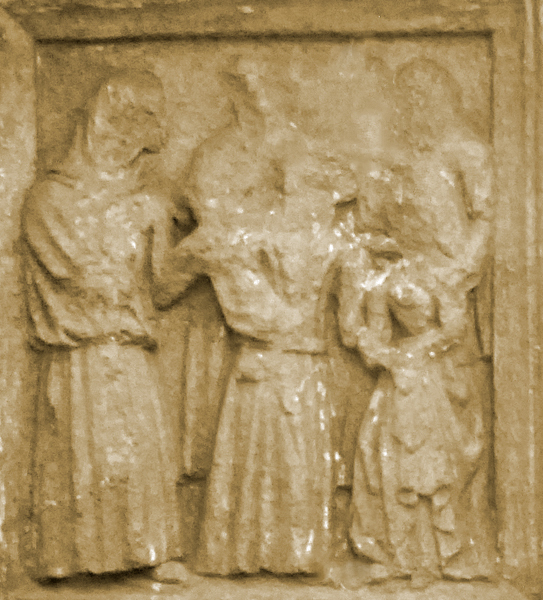 However, some of the representations are particularly interesting, and the eighth 'odd' panel is a representation of the Blessed Virgin and child. Apart from this one, and the Last Rites panel, the font is in pretty good condition. 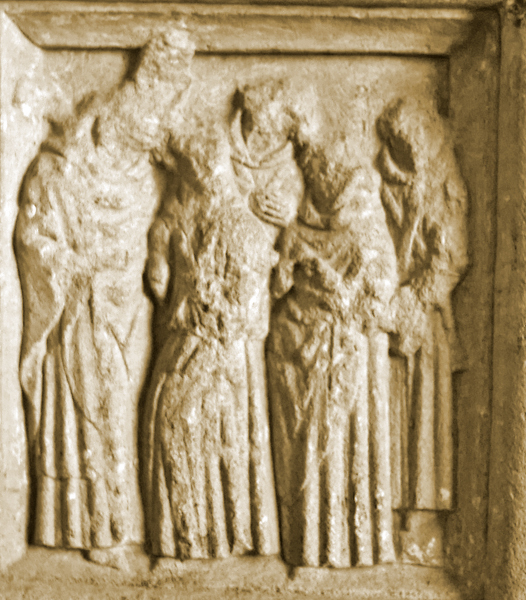 The Blessed Virgin is the easterly panel, and then anti-clockwise from there are Baptism, the Priest filling the font with water while the mother holds the baby; Ordination, Bishop, archdeaon and three ordinands, unusually, standing rather than kneeling ; Confession, the confessee kneeling at a shriving bench before the Priest, while the devil sneaks off behind her; Mass, perhaps the most interesting representation here, the Priest dispensing Communion to kneeling communicants while a houseling cloth catches the crumbs; Matrimony, the Priest unites the hands of Bride & Groom ; Confirmation, at that time children were confirmed as infants under three , and Last Rites, patient in bed with Priest and assistant and Angel figures standing on both sides of the bed.